Practicing yoga strengthens and tones your body like no other workout. It’s also a calming, centering practice. But let’s face it, if it wasn’t fun, you wouldn’t stick with it. Some poses have higher thrill factors; when you’re in them, you can’t help but crack a smile or giggle with delight. Here are 10 superfun yoga poses — from easiest to most challenging — that everyone should try at least once. This pose is great at opening tight hamstrings, but the challenge of staying balanced on your bum is what makes it so much fun. If you keep rolling backward onto your spine as you attempt this pose, you’re not alone. Just roll back up and try it again. Another balancing pose Standing Hand to Big Toe is more challenging (and more fun) since you’re standing on only one foot. Bend your knee if you’re hopping around and can’t seem to find your balance. Still no luck? 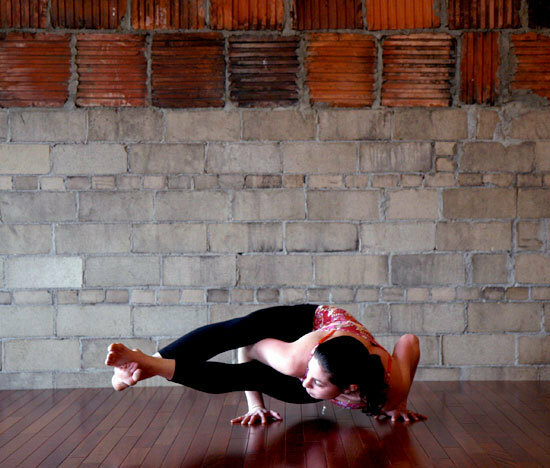 Do the pose in front of a wall so your spine can gently lean back if you start to fall over. How often do you get to balance on one hand and one foot? Balancing Star is a cross between Sage and Half Moon. As challenging as it is, it’s also a really fun pose to try, because it makes you feel so open, adventurous, and bold. Balancing Butterfly looks like a calm, peaceful pose, but it’s much more exciting to try balancing on your toes than it is to sit on your tush as with the regular Butterfly pose. Standing on your hands is always entertaining in my book. Give the arm balance Crow posea try, and for even more of a thrill, try the pose out in nature. Two of my fave poses — Wheel and Headstand — are wrapped up into this fun-filled pose called Headstand Bow. I know it looks complicated and painful, but I assure you it’s easy to do and feels amazing. Start in Wheel pose, standing on your hands and feet. Move your hands to your ankles, and there you have it. Now take a moment to view the world from a different perspective. I agree, this pose looks straight out of Cirque du Soleil, but Eight Crooked Limbs isn’t completely beyond your reach. Here are step-by-step instructions on how to master this tangled arm balancing pose. With a name like Firefly, this pose has to be fun! You could say this is somewhat of a straight leg variation of Crow pose. Since this pose is a toughie, you’ll end up on your tush more than your hands when you first try it out, which will certainly cause some giggles. Forearm stand is a difficult pose, but that’s what makes trying it feel adventurous. Doing this split-legged variation may look more strenuous, but it’s actually easier than keeping your legs together — the counterbalance of your legs extending away from each other prevents you from falling over. Sure, this variation of headstand seems to defy gravity, but it’s not impossible. It’s exciting to try to stay balanced on your head and palms, since it’s something we hardly ever do. A word of caution though — this is a very challenging pose that requires extreme balance as well as upper body and core strength. 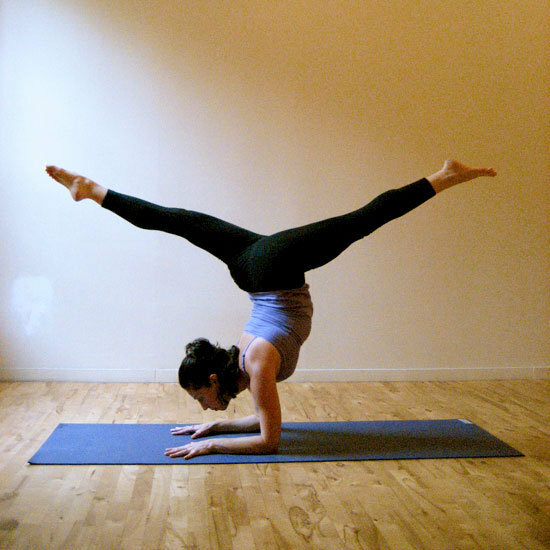 You should be a master at Bound Headstand as well as Tripod Headstand before attempting this pose to prevent injury.